Get a Siskiyou County Traffic Ticket? You Can Beat It! Did You Get a Ticket in Siskiyou County, California? You can fight Siskiyou traffic tickets by getting them dismissed much easier than you may think. In Siskiyou, California, drivers are allowed to contest a traffic ticket using a Trial by Written Declaration. This is best way to fight a traffic ticket without going to an Siskiyou courthouse or hiring an expensive Siskiyou traffic ticket lawyer. We have found this to be the best way to contest a California traffic ticket, period. This option is available to every driver who receives a traffic ticket in Siskiyou, California. In fact, if you turn over your traffic ticket you will see that a Trial by Written Declaration is listed right on the back of your ticket as one way to fight it. This process has been around since 1978 to avoid having to pay traffic ticket fines. TicketBust has been helping California drivers prepare Trial by Written Declaration’s for over 14 years. In fact, tens of thousands of vehicle tickets in California have been contested using our system. We are the original traffic ticket fighter and the TicketBust system has been developed specifically to prepare all your documents properly based on how you answer a few questions. This way you can fight your ticket, knowing you have maximized your chances of having the court dismiss your Siskiyou County traffic ticket. TicketBust service will prepare your full defense package for you, which includes your Trial by Written Declaration and all the defense documents required by Siskiyou traffic court. Fill out the yellow form to fight your Siskiyou traffic ticket now! Did you know that you aren’t allowed to pass the white limit line when you are stopped at an intersection? From our experience, this can be a common ticket issued in the county of Siskiyou, so be on the lookout and stay behind that solid white line. If you find yourself having received a traffic ticket in Siskiyou, give us a call or fill out our form to see how we can help! Siskiyou County is the site of the central most section of the Siskiyou Trail, which was the shortest practical foot trail between Oregon and California. 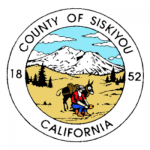 In 1852, Siskiyou County was created from parts of Shasta and Klamath Counties (part of the county was later allocated to create Modoc County in 1855). In the mid 1880s, the Central Pacific Railroad, built along the Siskiyou Trail brought the first wave of tourism to the area, attracting those who desired to hunt or fish in the region. Today, Siskiyou County is the fifth largest county in California by area and is located in inland northern California, adjacent to the Oregon border. More than 60% of the county’s 6,347 square miles is managed by agencies of the federal and state government, including Butte Valley National Grassland and parts of Klamath, Modoc, Shasta, and Six Rivers National Forests. Of the county’s nearly 44,000 people, over half of the population live in unincorporated cities and communities within the county. Residents and visitors enjoy Siskiyou County’s beautiful landscape by hiking through Klamath National Forest, visiting Mt. Shasta, a potentially active volcano and the second-highest peak in the Cascade Mountains at 14,179 feet, or by bird-watching at the Klamath Basin National Wildlife Refuge where one of the largest population of bald eagles in the lower 48 states spend their winters.